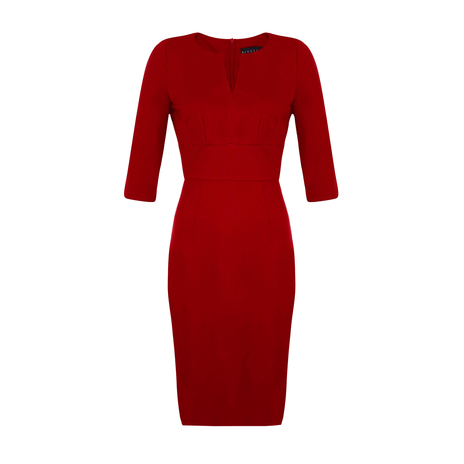 Our versatile double-knit jersey pencil dress has a high split neck at front, ¾ length split sleeves, fitted waistband with concealed zip and single vent at back. 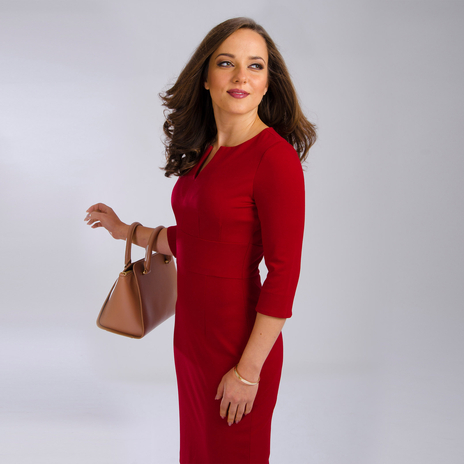 After our best seller in burgundy sold out, we received numerous requests to reproduce the dress in red, in a shorter length and to replace the inverted pleat to a split instead, so we fulfilled your wishes! Buy it before it's out of stock. This jersey fabric has a lot of stretch, breathes well and doesn’t crease. The additional stretch lining makes it super comfortable to wear at work. To ensure this garment fits you perfectly, please refer to our size chart as our sizes may fit smaller than other UK brands. 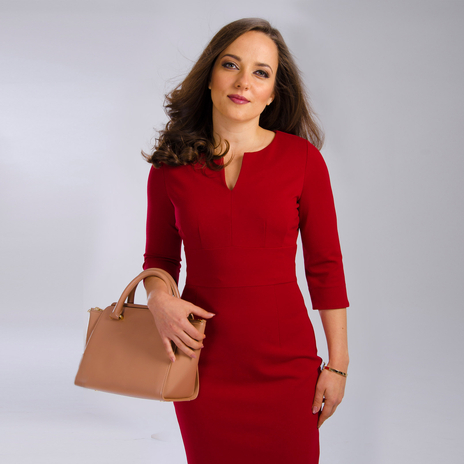 Fitted shorter at the waist than standard JEETLY petite dresses, the Victoria dress flatters the figure and accentuates curves by fitting tightly above the waist and slightly looser below the waistband. Choose the next size up if you want to avoid a figure hugging look. 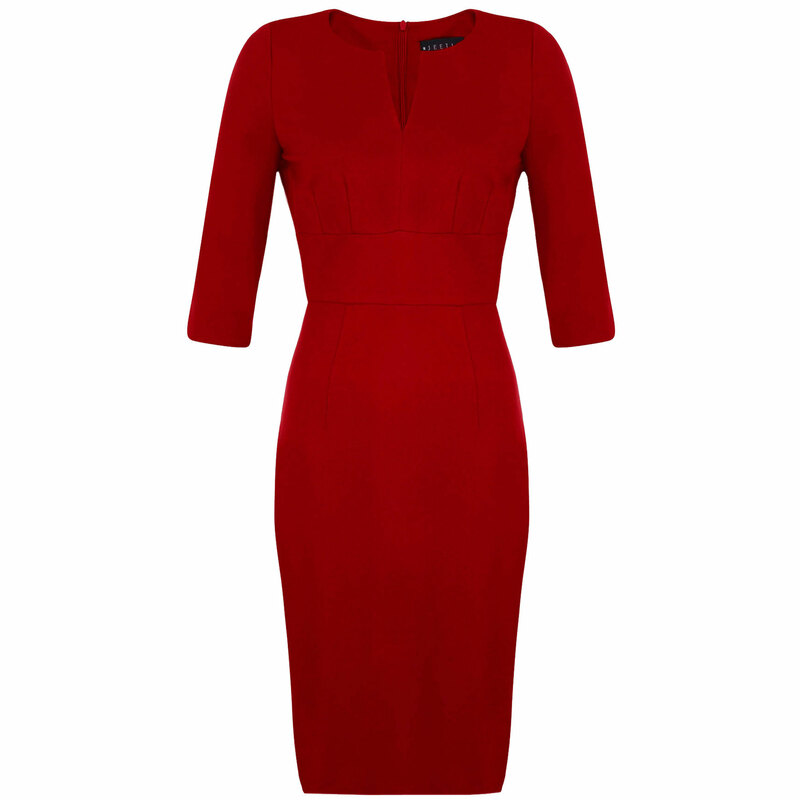 Petite dress length from the highest point of the shoulder to hemline is 90 cm. Sleeve length is 38cm.